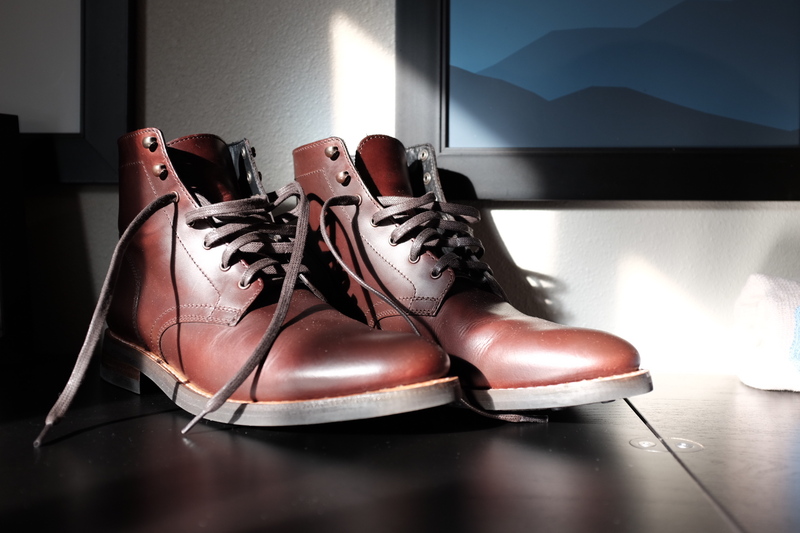 Note: this item was provided by Outlier for the purposes of review. 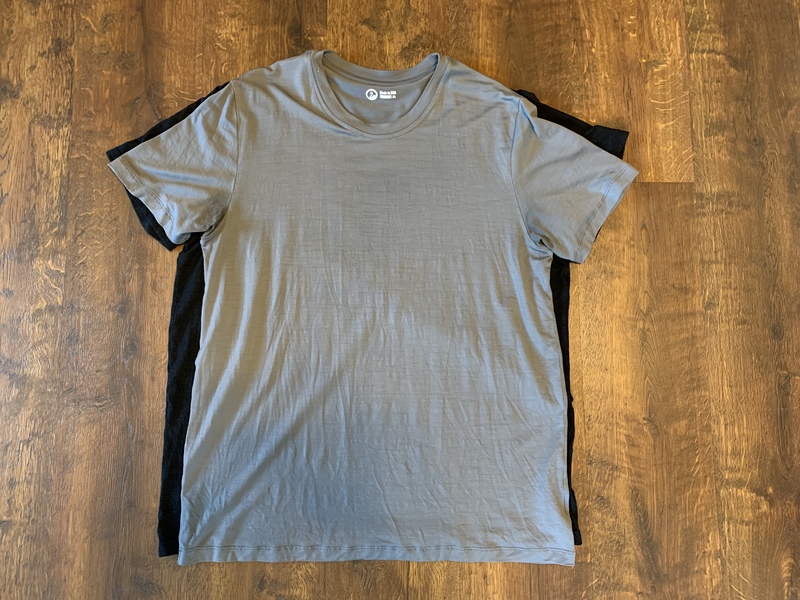 The Outlier Dreamweight T takes all the luxury in the Ultrafine T-Shirt and stops it down to a t-shirt which feels too thin and too soft to exist. It’s extremely light, which is where the name comes from. 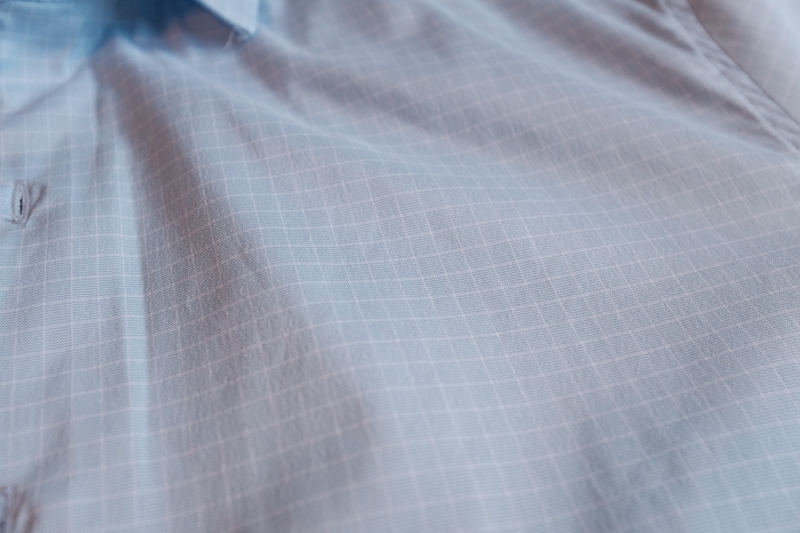 This is a merino and nylon blend shirt, which is 75% 16.5 micron merino, 25% nylon for a 110 gsm weight. First, notice how fine the micron is on the merino — it’s insanely soft in hand feel. But the bigger deal here is the “intimate” process Outlier talks about with the nylon blending. Lots of differences but the biggest is the intimate blend we use versus two different nylon filament techniques. This stuff is intimately blended which means chopped up nylon staples are mixed with wool staples before the mixture is spun into a yarn. The most common way to combine wool and nylon is core spun, where there is a nylon filament in the middle and the wool is wrapped around. There are also some “beta spun” ones that invert that technique, the wool is in the middle and thin nylon filament are wrapped around the outside to protect the wool yarn. 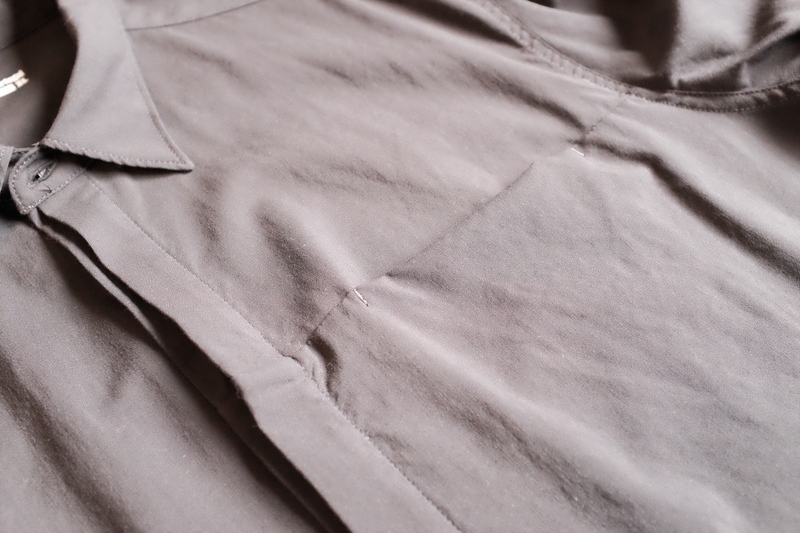 Both these techniques are good for making durable stuff but tend to lose some of merino’s softness. 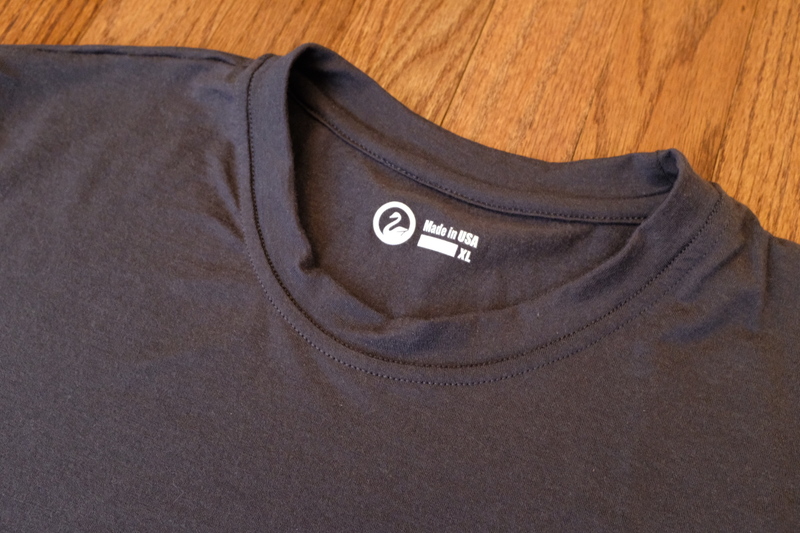 The intimate blend adds nylon strength but if anything it actually makes for an even softer fabric than pure merino. I think the fit is the most interesting aspect of this. 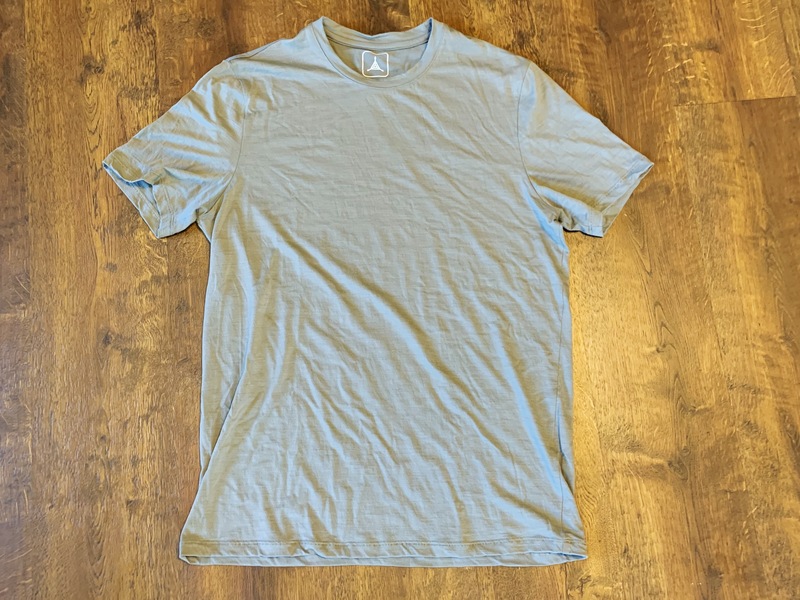 As I mentioned it is really light, so that lends the shirt to two primary use cases: a shirt for warm weather, or a shirt to wear as a base layer. The material works great for both, but you likely need to adjust the size you order based on how you want to use it. 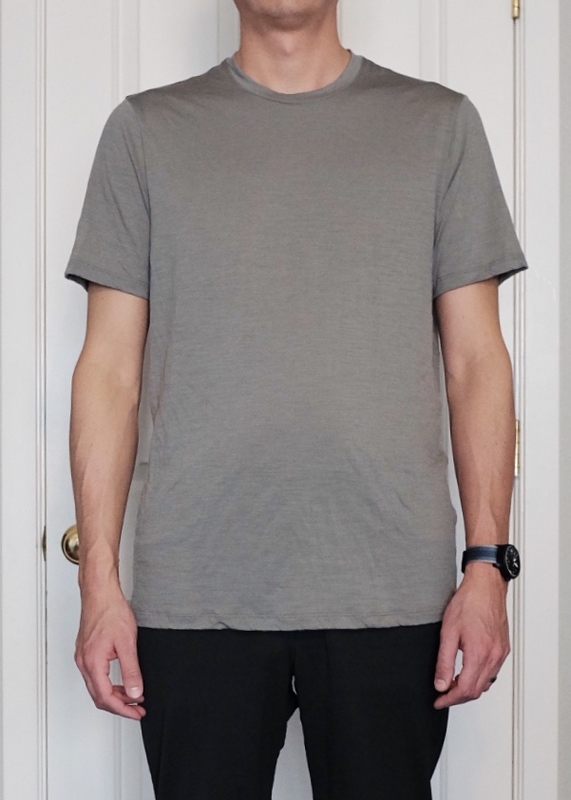 I ordered my standard Outlier size of XL and washed it and dried in on low per the label. The standard thought is it should shrink a bit. 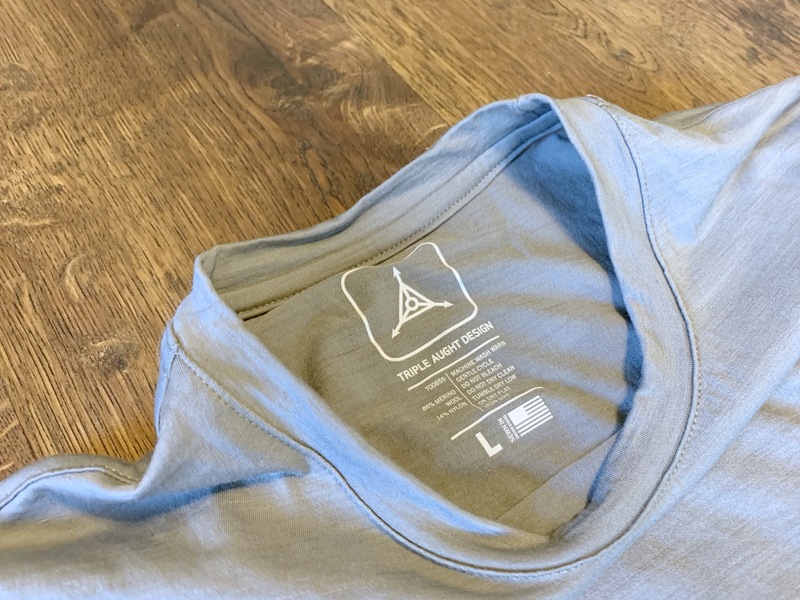 It still fits looser than my Ultrafine T-Shirts of the same size, but not so much so that I would necessarily want to size down. However, if I wanted it as an undershirt, I would size down for sure. At my normal size, the shirt is a great fit for warmer weather where you don’t want your clothing clinging to your body. The neck is wider on the dreamweight. 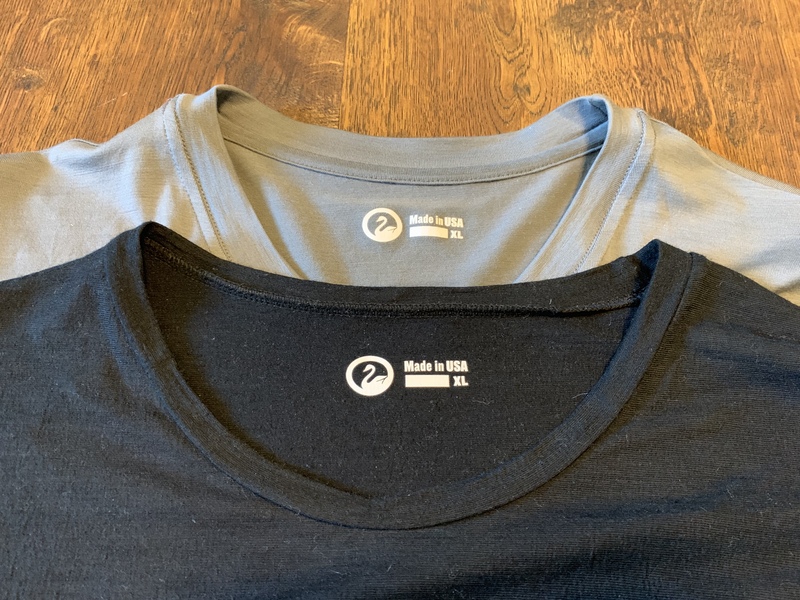 Compared to my Ultrafine T-Shirts (I have two, different colors from different time periods) it is larger is most respects by a touch. 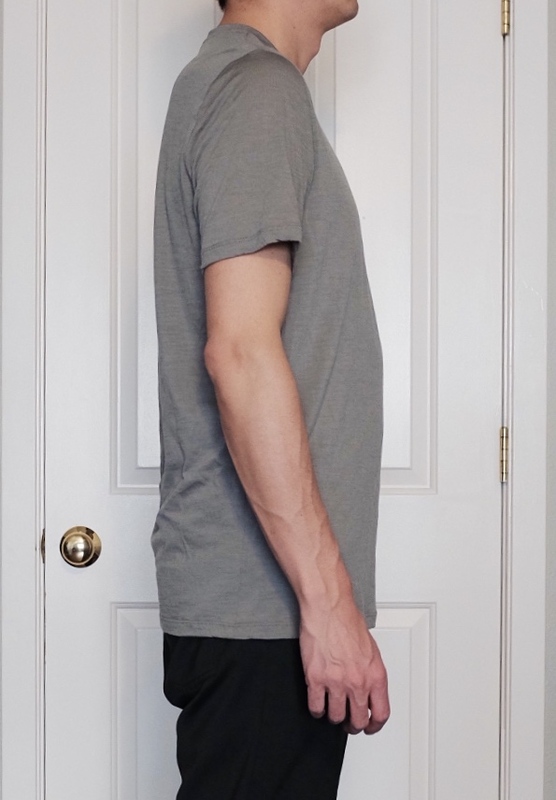 It’s longer, and wider, with larger arm openings. This shirt performs amazingly well — better than any other t-shirt I own currently. It’s cool and breathes very well. 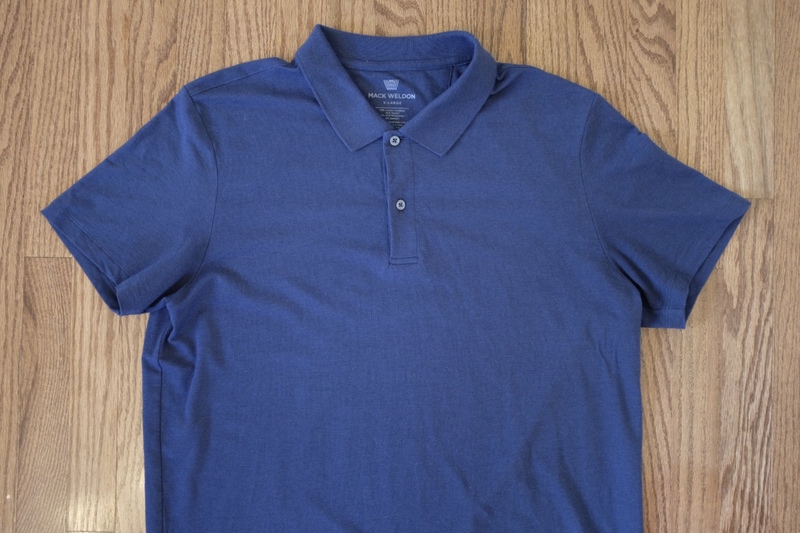 It dries very fast, and resists odor on par with any 100% merino shirt. 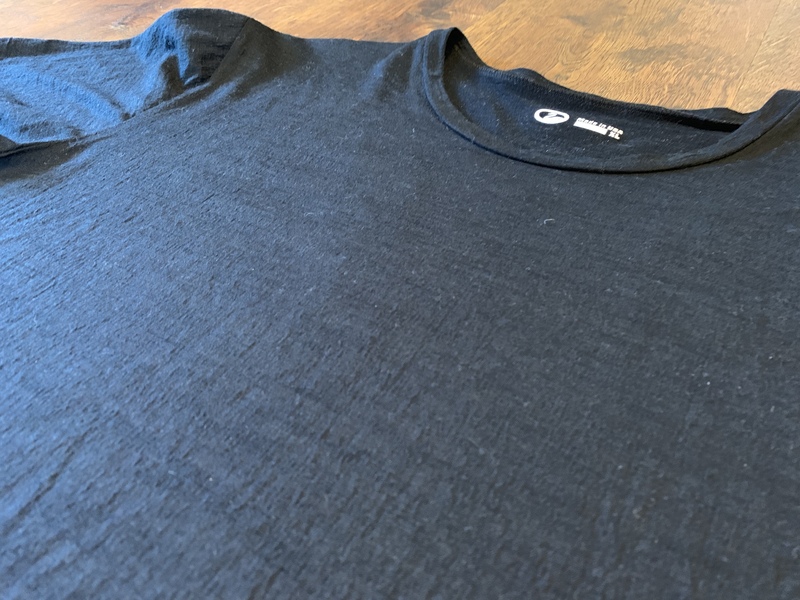 From a performance aspect it’s an extremely light weight version of the Ultrafine T-Shirt with no drawbacks for how much thinner it is. 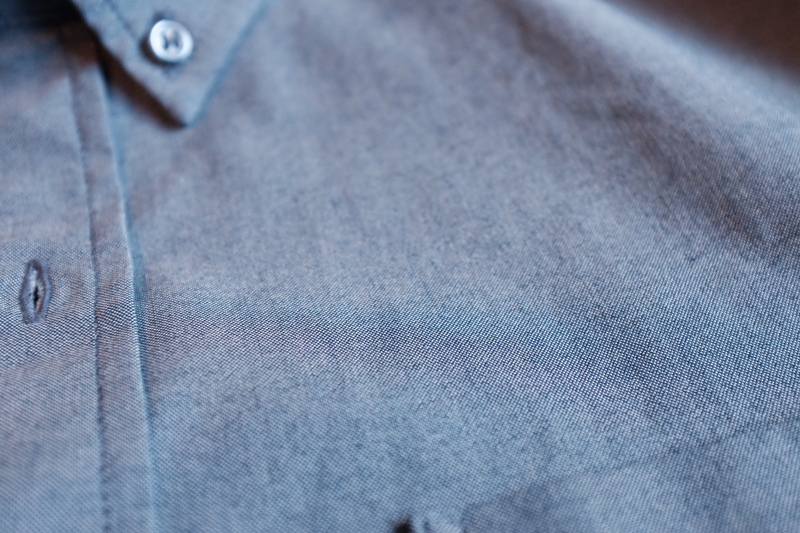 It’s the shirt you want for hot weather if you want to stick with merino wool. There’s one other aspect, and that’s the hand feel. This shirt is amazing feeling. It’s not fragile feeling at all, and I do not think I own a softer feeling shirt than this one. It’s the kind of shirt that makes you wish you could wear nothing but this shirt all the time. There are two drawbacks to this shirt. 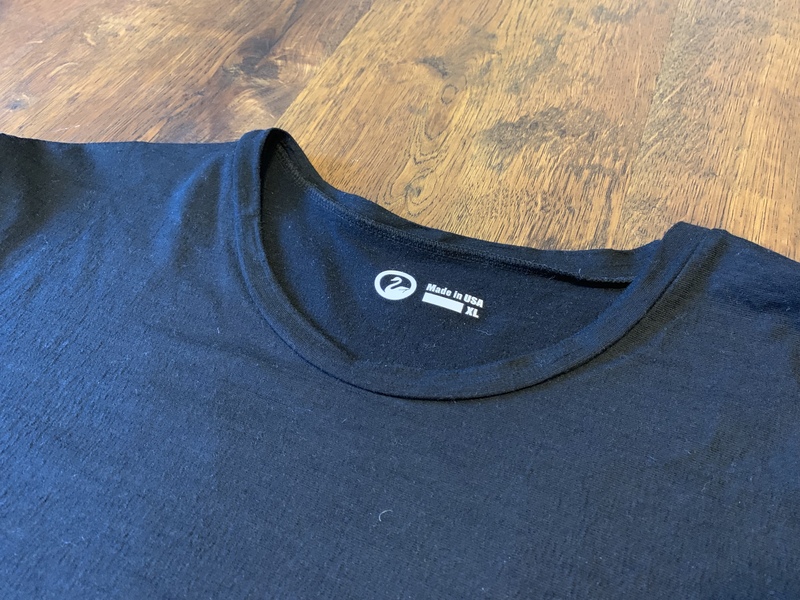 The first is the sizing issue I mentioned in the fit section — you’ll want to wear it under stuff but will have a hard time doing that unless you size down. Luckily, this is as easy as ordering two shirts in different sizes. 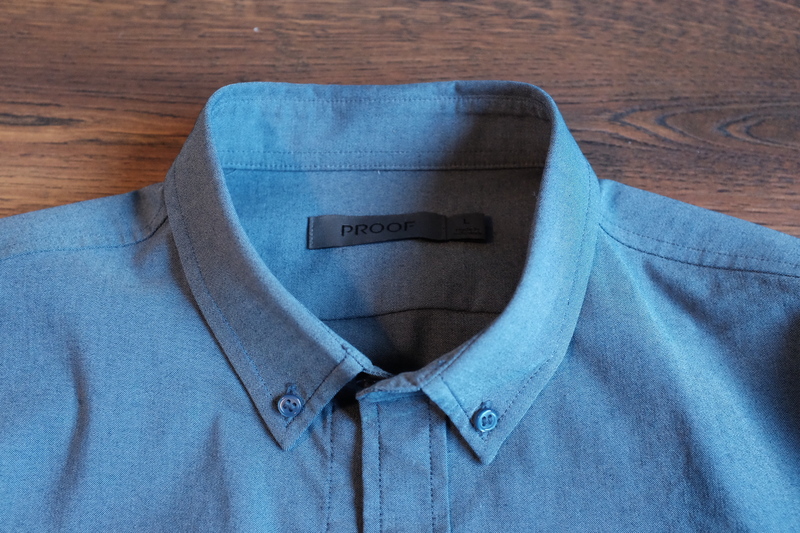 The second issue is the collar of the shirt. I find it to be a larger opening, which from a style standpoint is fine. It’s great for under other shirts, or in warm weather. 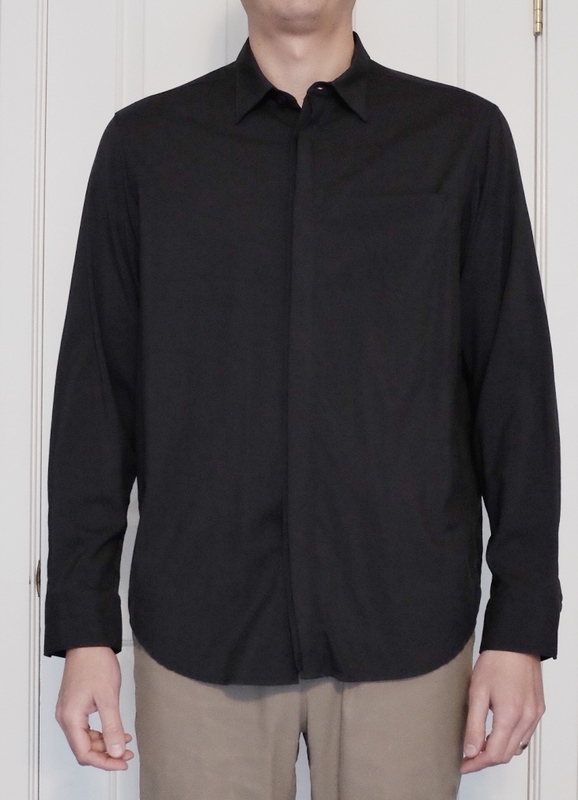 The issue is that this is a more casual look, which means it should look crisp and here is where the shirt fails. The neck is very prone to ‘bacon neck’ where the collar has ripples in it like bacon out of the fry pan. It’s not a complete deal breaker, but it certainly is a setback for what would otherwise be a near perfect shirt. 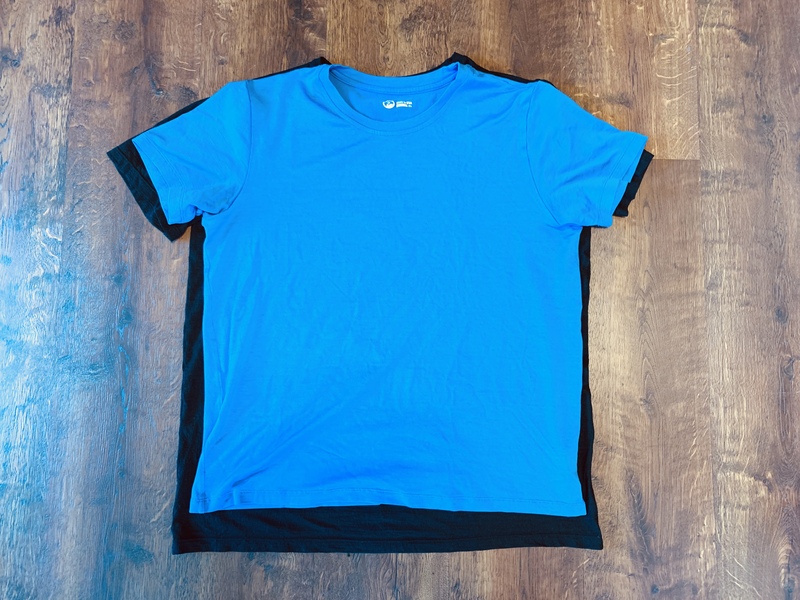 I have noticed that drying the shirt flat and being careful when you dry it will minimize this issue, but using a dryer on low exacerbates the issue. I love this shirt, and if it were not for the bacon neck, I would likely only buy these going forward. However, the fit is a bit odd, and I would like to try one size smaller before I fully commit. 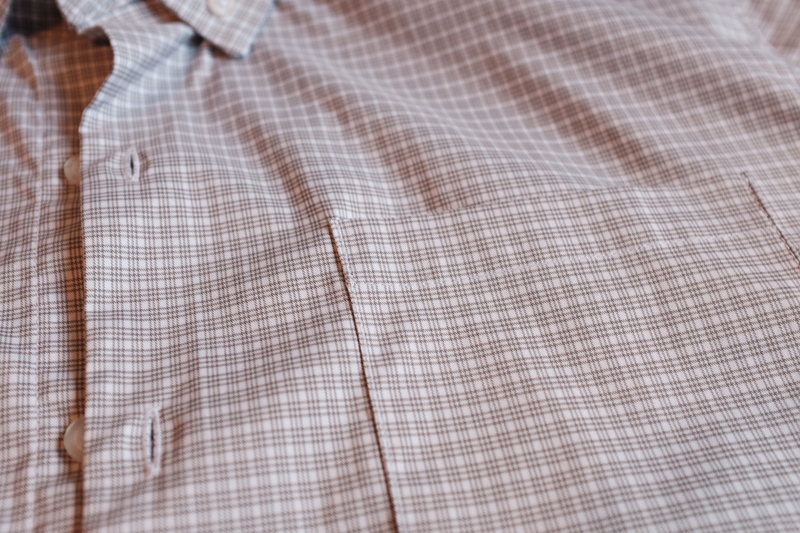 That said, in hot weather I can’t see wearing the Ultrafine instead of this shirt. 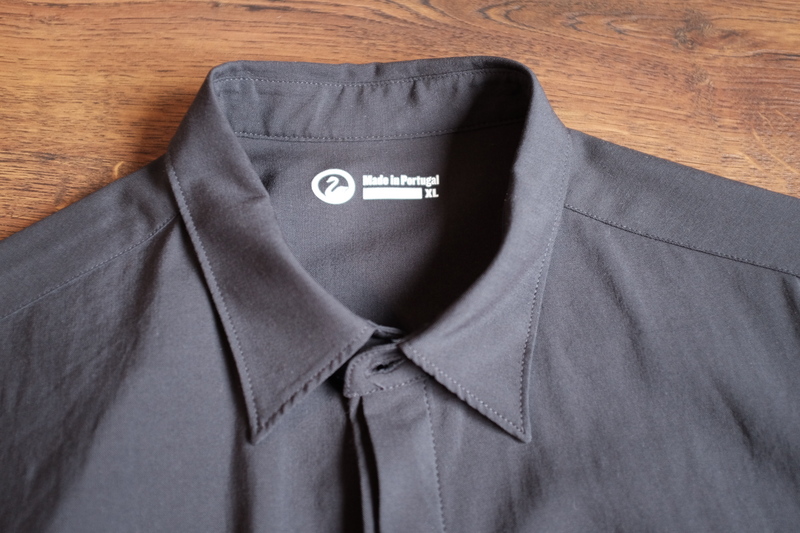 It is fantastic and the hand-feel of the shirt certainly lives up to its name. 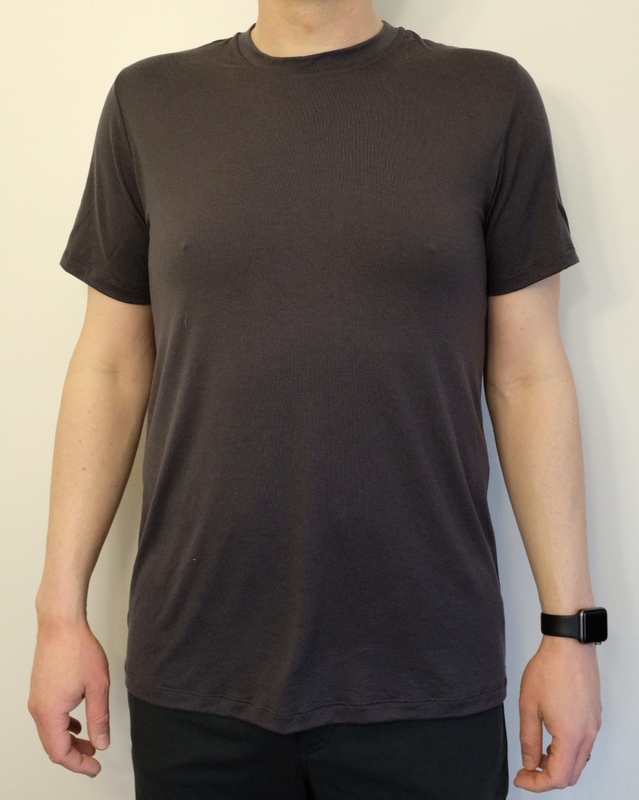 The neck issue is not an issue for the most part if you dry the shirt carefully, and because of that, I would highly recommend this shirt to anyone looking for a nice undershirt, or a fantastic light weight t-shirt. 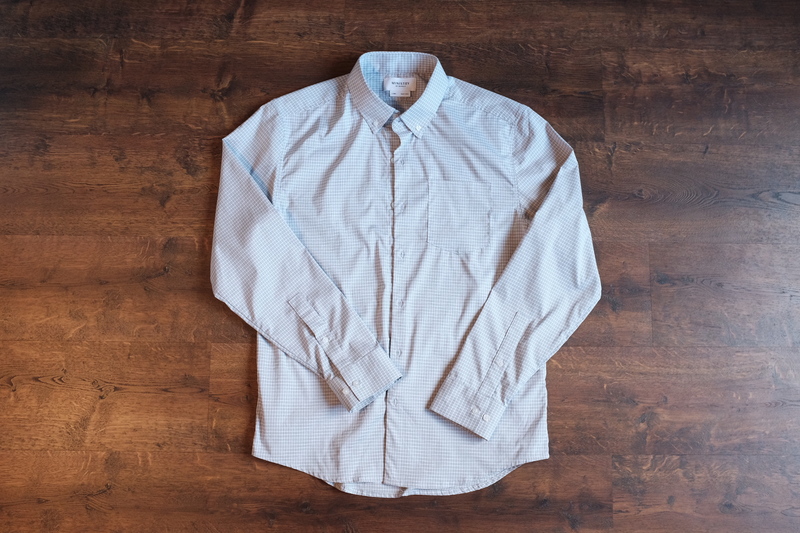 Outlier has awhile made longsleeve t-shirts from their great 100% merino fabrics, but with the GD Cottonweight Merino Longsleeve, they took a risk with a new fabric. 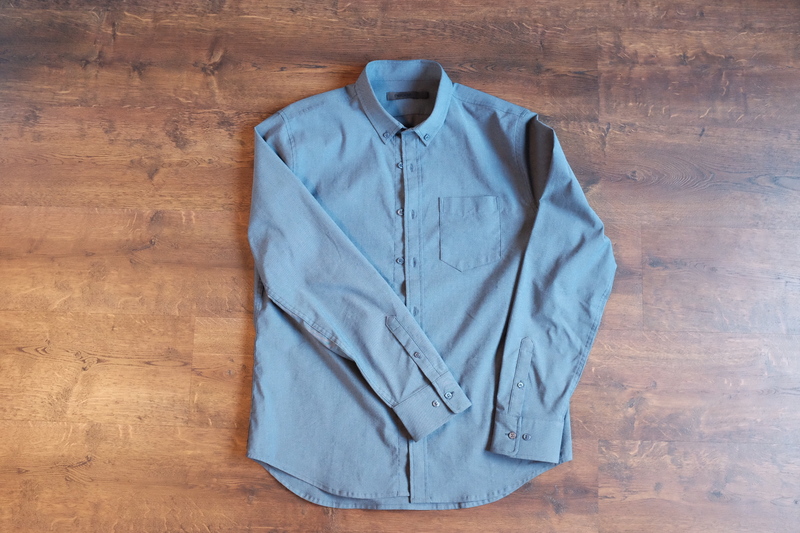 This shirt was designed to take the place of that heavy cotton longsleeve you love in the winter, and I think they did a great job. 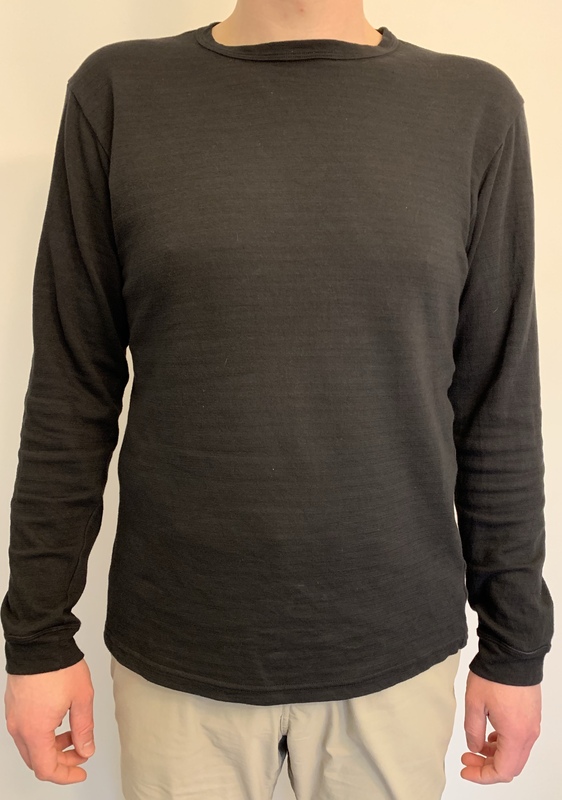 This shirt is made from Outlier’s Cottonweight Merino, a double knit jersey with an 18.5 micron merino inner face and a cotton outer face (49% merino, 46% cotton, 5% nylon). 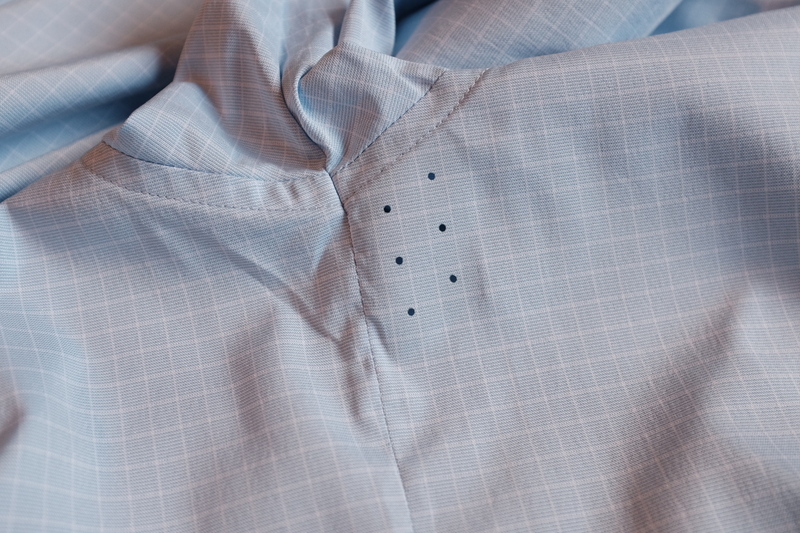 The fabric weighs in at a hefty 220 gsm, making it fit right in between a longsleeve t-shirt and a sweatshirt. 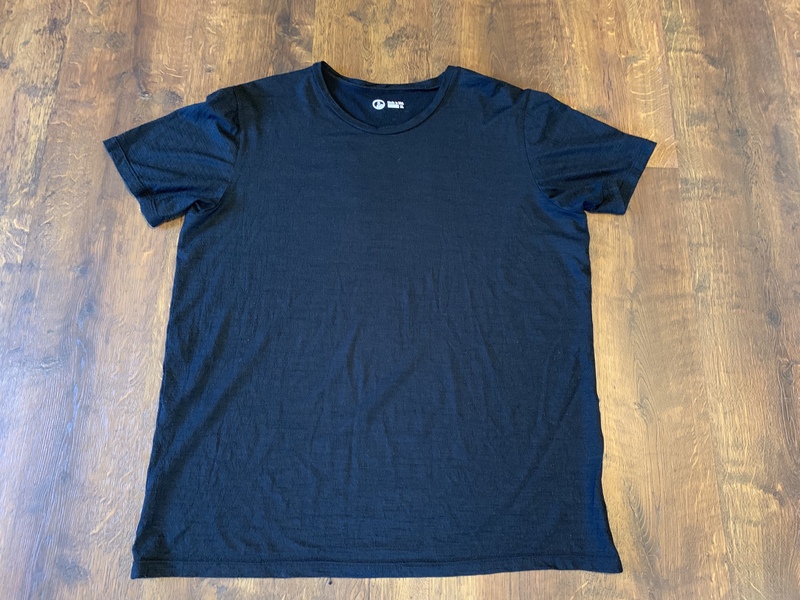 The shirt is very soft to the touch on both faces, surprisingly so on the cotton face, even though it is there to add to the durability and also helps give the shirt a natural drape. 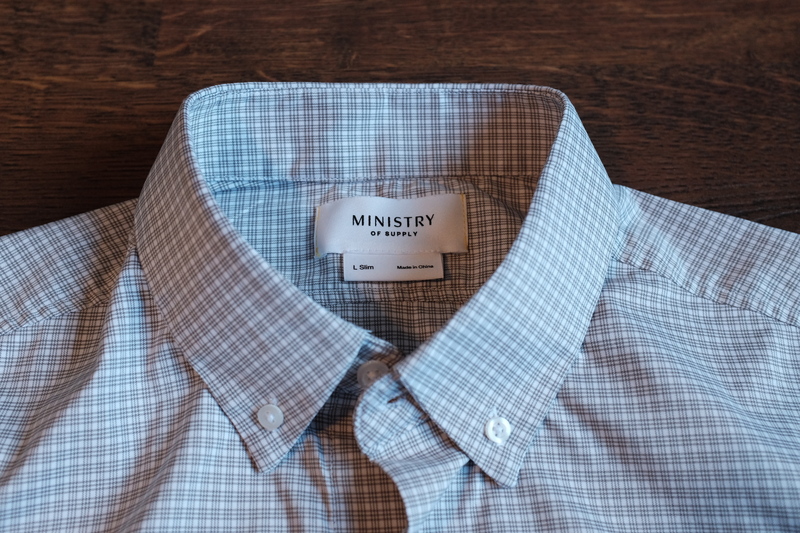 The garment dying process gives the shirt a unique look and gives the fabric some character. Of course, there always is the chance of dye transfer, fading, etc. 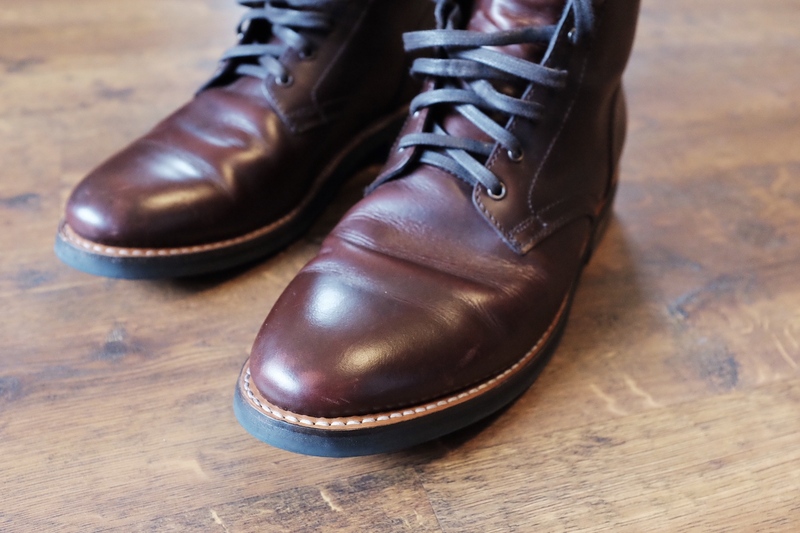 with garment dyed items, but I haven’t seen any issues — just a fabric with great depth. 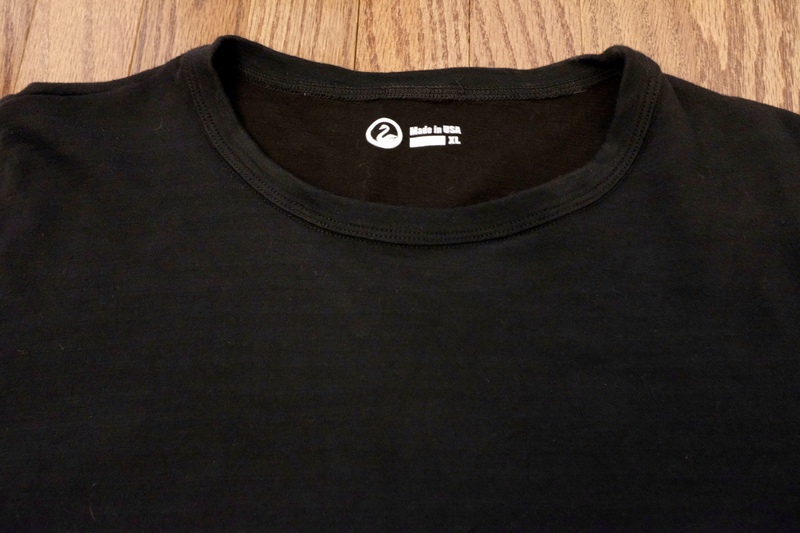 In the black color that I have, that means the shirt isn’t jet black, it’s a deep dark black-grey to my eyes. It’s certainly something to see. 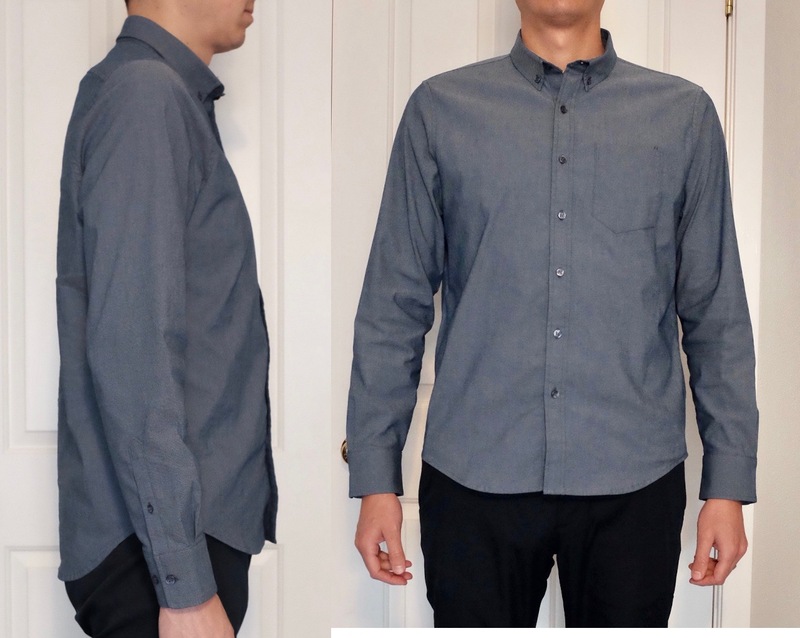 The fit of this shirt is what I’d call a standard “straight” fit — no tapering anywhere, but not too boxy either. 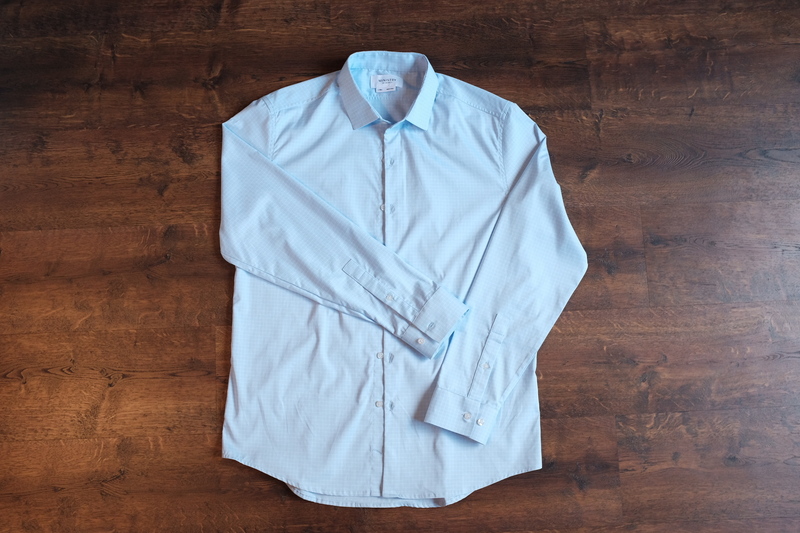 The sleeves are cut long enough so that I get a little bunching at the wrists (but not too much), something nice for those who always find longsleeves to be too short. 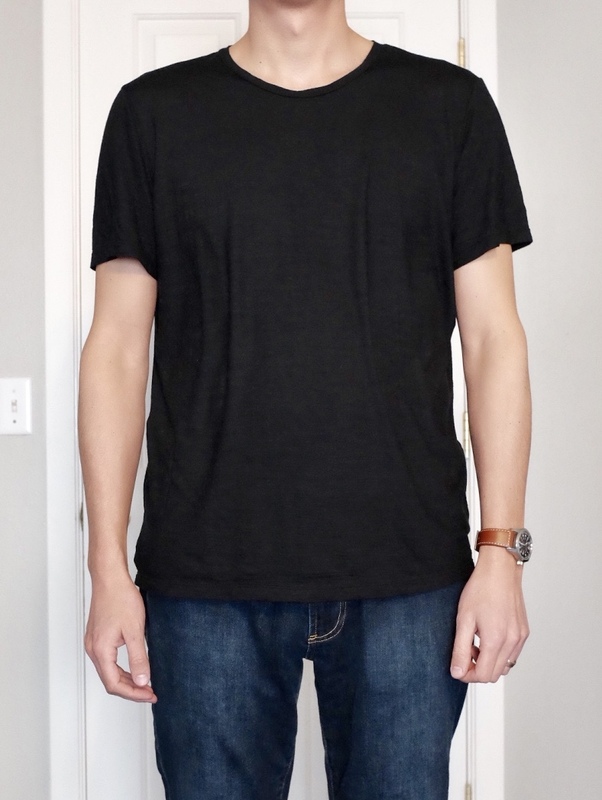 I find this shirt to be my most comfortable heavy longsleeve t-shirt. 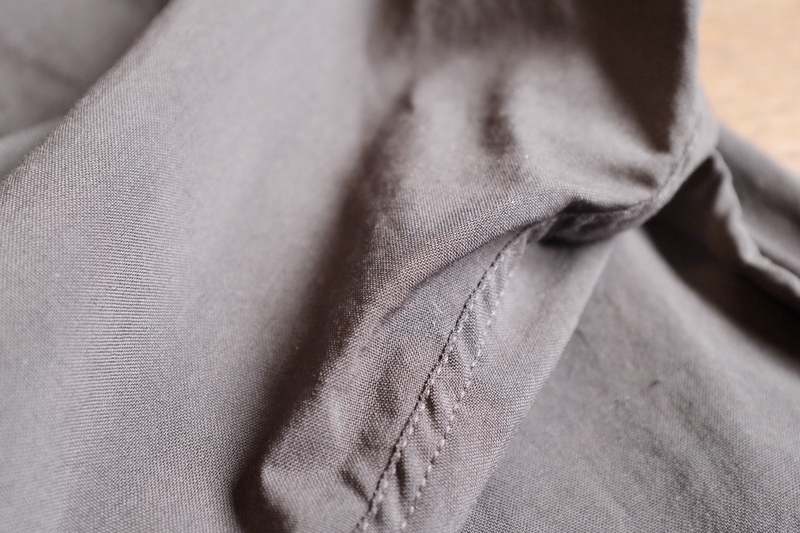 The softness makes it pure luxury to wear and the merino inner face imparts some of the great merino qualities we love. 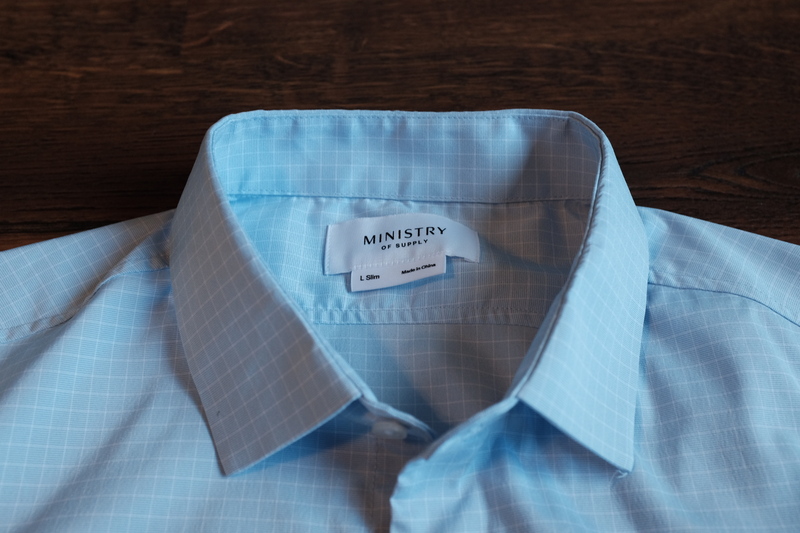 I’ve been able to get numerous wears out of the shirt, however, the cotton face can negate this benefit in some cases (heavy sweating, smelly environments). I think a heavy longsleeve is a great place for it to be used though because of how it’s typically worn. Speaking of the weight, I’ve found the heft to be great for colder weather. It works well under a jacket instead of a sweater and isn’t too warm for cooler indoor temperatures. However, if you are someone who runs warm or tends to be in warm buildings, this very well might be too warm for you. 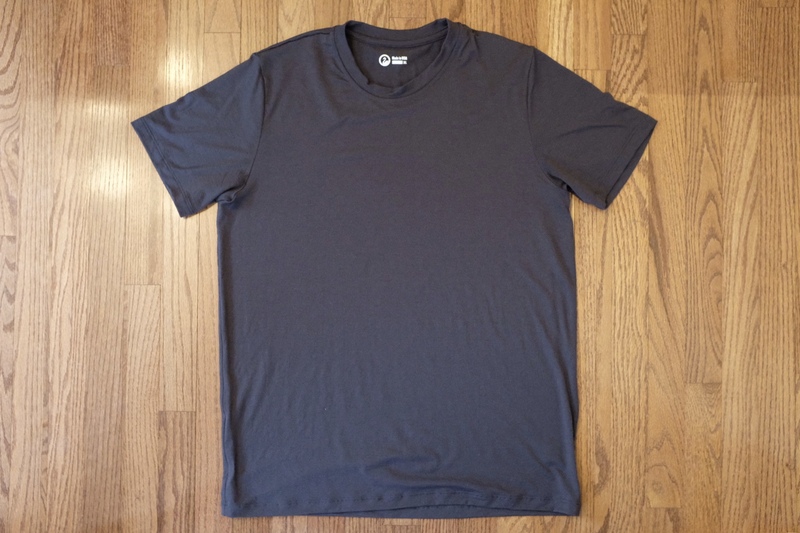 The Outlier GD Cottonweight Merino Longsleeve has become my top pick for a warmer shirt. When I think about wearing it, it is more of a light sweatshirt in my mind. Given the warmth, it isn’t necessarily the most versatile piece, so I’m not sure I’d pay the $160 retail price. 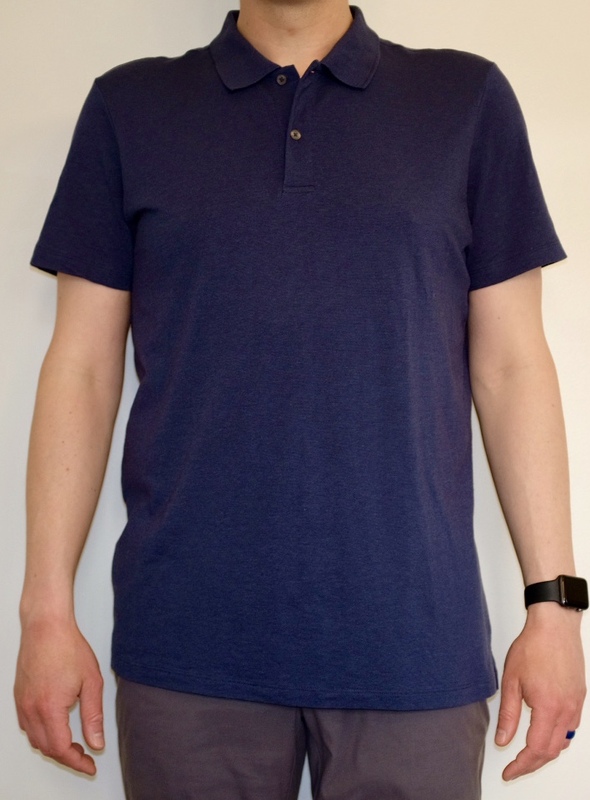 However, if you’re looking for a heavy shirt that performs (merino) and looks great (heavy cotton with natural drape), this definitely deserves a look. 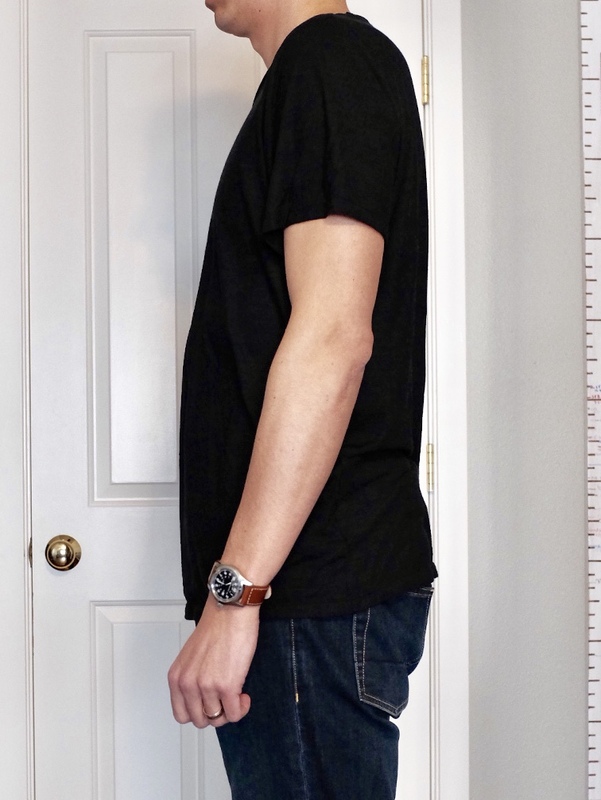 Note: While I purchased the first pair of pants for this review, Western Rise sent me the next size down after seeing the photos and letting me know that I likely chose the wrong size. 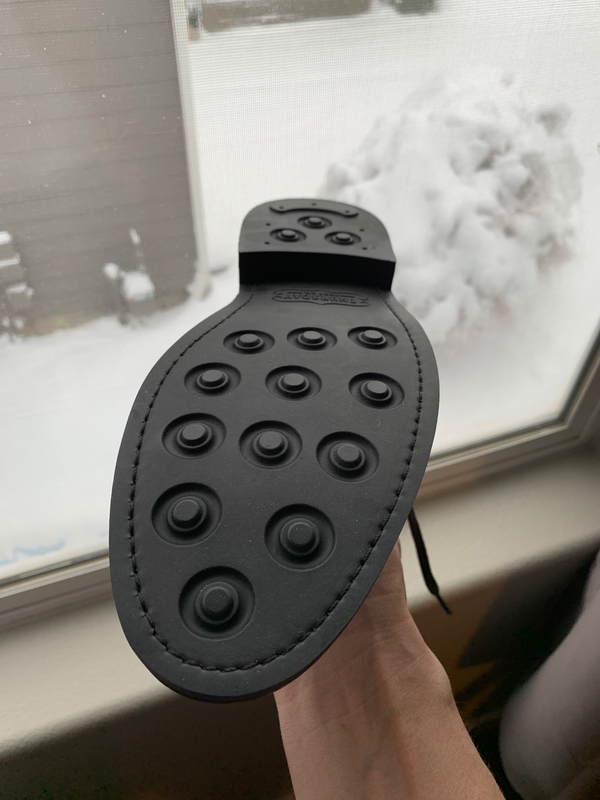 The review has been edited now that I have tested the correct size. Western Rise has been in the technical clothing game for a while. They recently launched The Evolution Pant through Kickstarter and just this week launched them on their website. Built from a custom stretch nylon fabric, they claim the ability to dress up while still being rugged enough for outdoor activities. 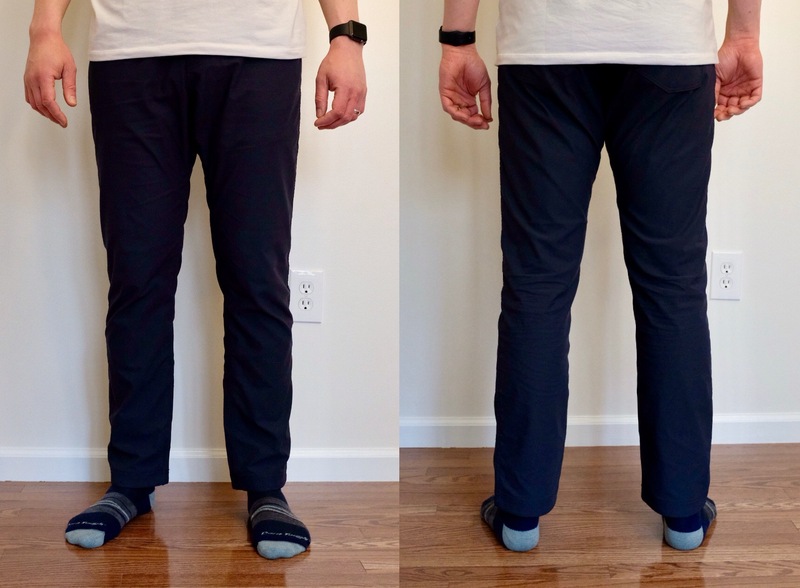 Given these claims and the opportunity to check out a new fabric, I picked up a pair through Kickstarter and have been wearing them for over a month now. The fabric is a custom high-denier, air-texturized Supplex nylon twill with 4% elastane for stretch and a DWR treatment. Interestingly, the stretch feels similar in the hand to the Outlier Futureworks (our review), but doesn’t feel as free while wearing. 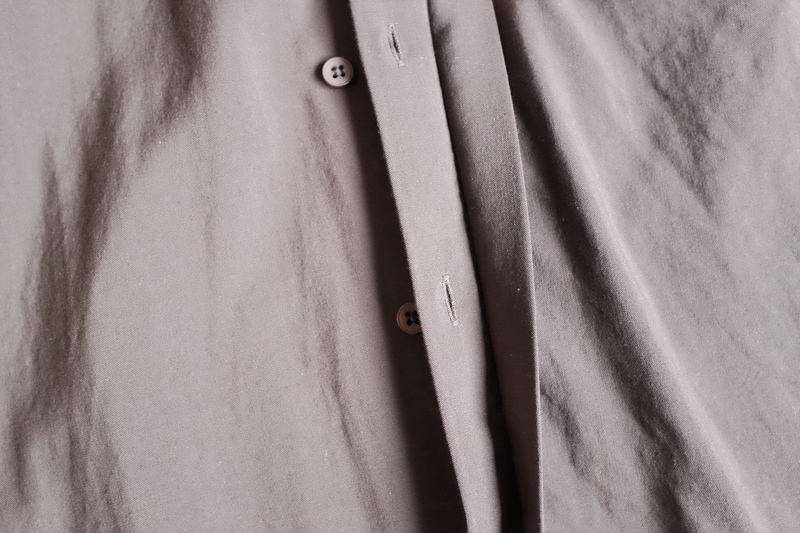 At 173 gsm the fabric is very lightweight (the lightest I have other than my Ferrosi Pants). 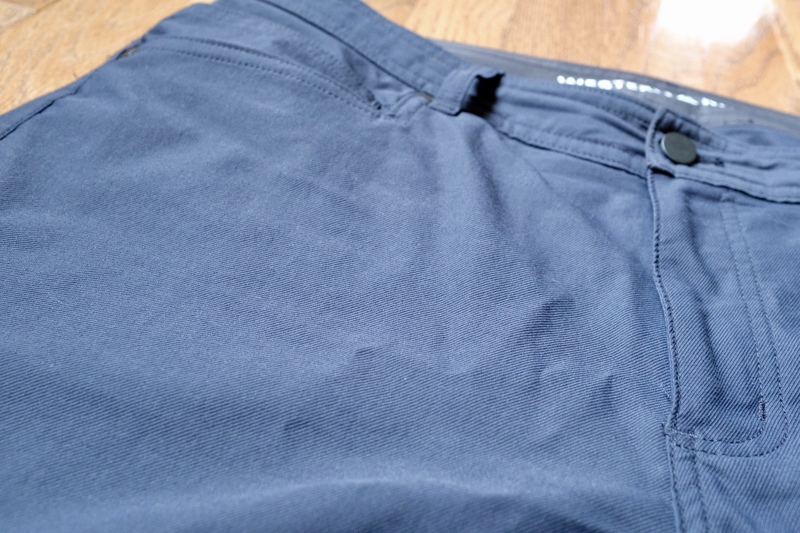 While I can wear Futureworks even in the cold weather, I found these to be too light without a baselayer. The way the fabric is woven gives the pants a nice texture and a cottony look. 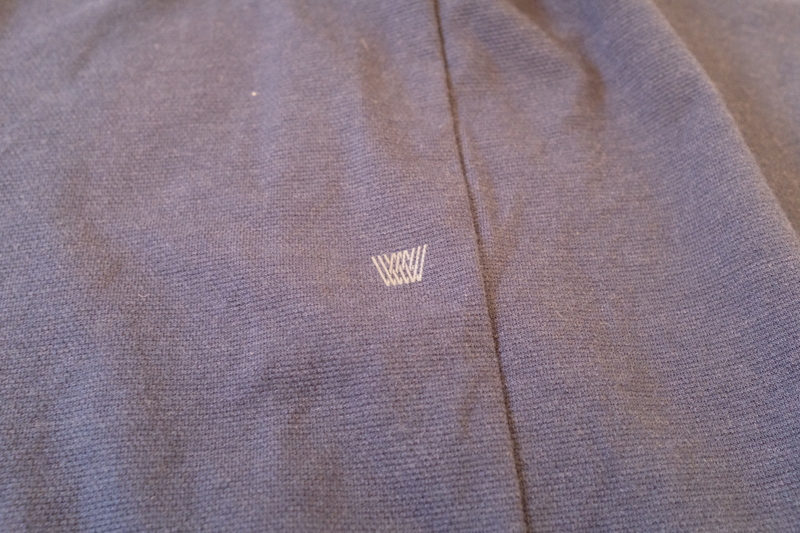 I previously noted that the fabric was a little noisy, but with the appropriate size, the noise seems to be gone. 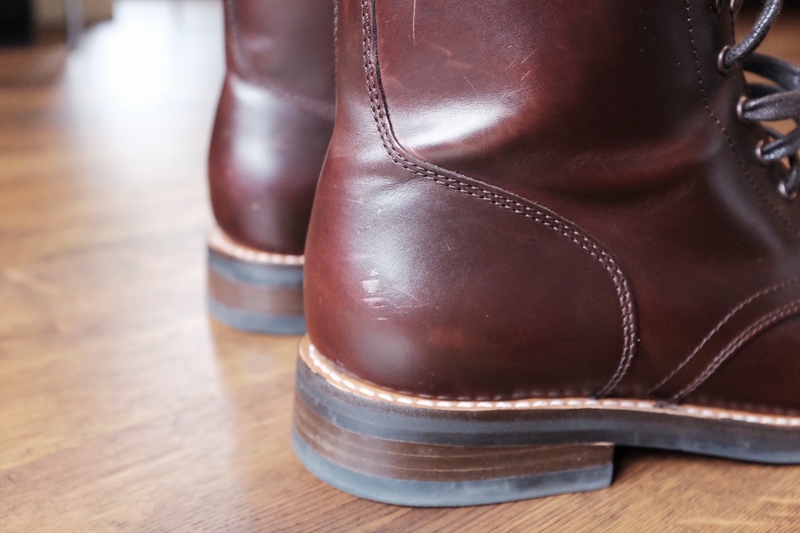 As far as the pilling I noted in my original pair, this pair looks fine and has showed no signs of pilling (Western Rise thought it was a defect in the fabric). The color isn’t this light in person. These pants are described as having a “flattering and slimming yet comfortable fit”, which I think is a good description. My first pair ended up being too big in the seat and stretched enough in the waist that I needed a belt. Once I received the correct size, they fit me like I expected. So a note here – if you are on the borderline of the size chart provided or are trying to decide between two sizes, size down. As far as the color, I originally picked the khaki for something different. The color looked darker on the Kickstarter page than it ended up coming out in production, and I don’t love how light it came out. With my second pair, they were out of the kakhi, so I was able to give the navy a try. I much prefer the navy. Finally, the claims of these pants being able to be dressed up for a meeting are spot on. I think they did a great job designing the fabric to keep it durable while looking sharp (the navy plays very well into making the pants more dressy). 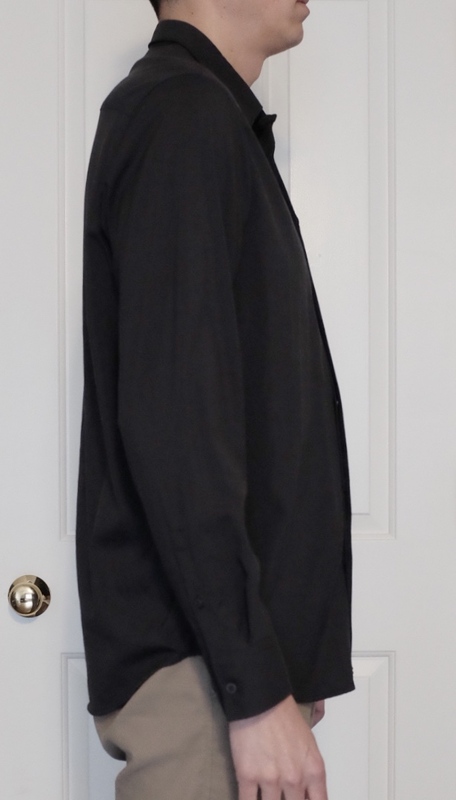 In the realm of pants I own, I’d place them right between my Futureworks (most dressy) and Outlier Slim Dungarees (our review) as far as “dress-up-ability”. I think these pants will be excellent for hot weather. 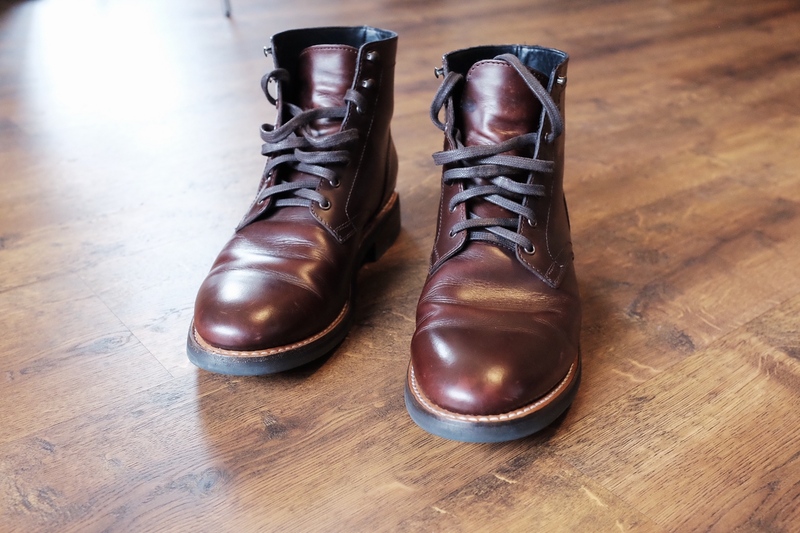 At an even lighter weight than my Futureworks and with much better looks than my Ferrosis, I can see these as a contender for someone in a hot climate. In a humid environment, I could see the cottony feel of the fabric keeping it from getting clammy against your skin. 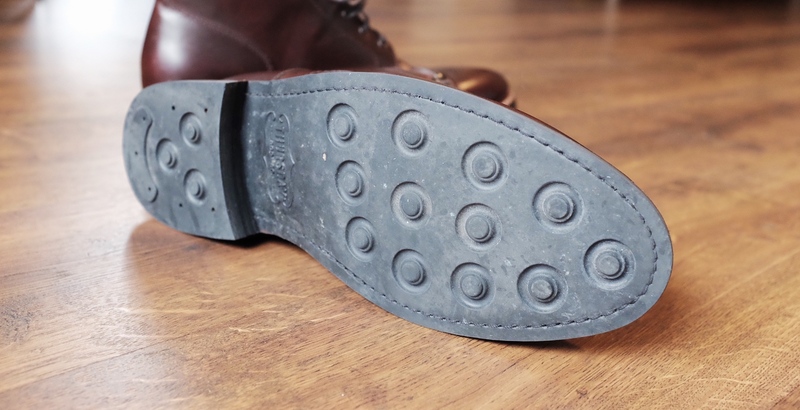 The breathability also seems excellent, as they were cut right through by cold wind. As I mentioned above, the stretch, while there, doesn’t feel as free as I’d like. There is a gusset, but it doesn’t come down to the knee like the Futureworks, so that could be an additional explanation of the experiences I’ve had while wearing. As far as travel features, these look like your standard five-pocket pant, but add a few niceties. The “coin” pocket on the right front is sized to fit your phone, for easy stowage and separation from what you might have in the main pocket. I find it to hold my iPhone XS securely and comfortably. There is also a hidden zippered passport compartment in the right rear pocket. This is the best one I’ve seen, as the zipper manages to be unnoticeable when otherwise using the pocket and when sitting. 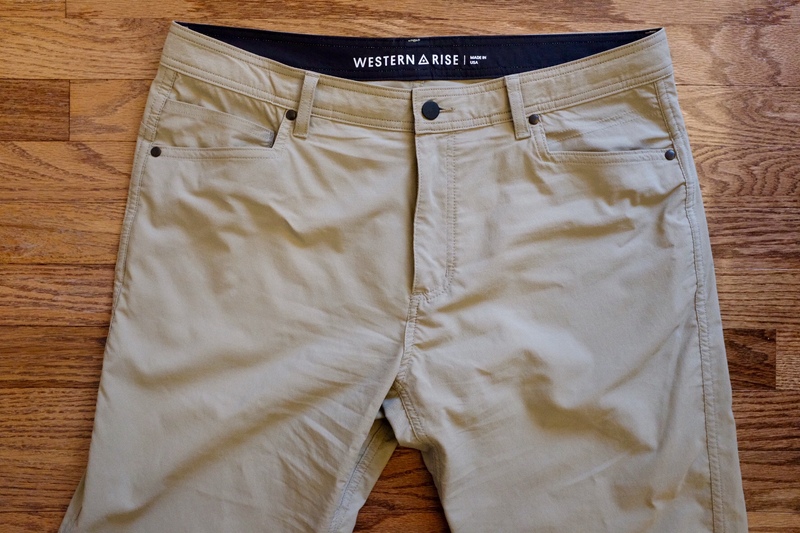 The Western Rise The Evolution Pant is a new entry in a quite crowded market of five-pocket pants. I think they did a nice job of making the pants look normal while retaining good performance. After getting the right size, I think these pants will become a go-to in warm weather over my Slim Dungarees. I haven’t come across pants that are this light while still looking good.